The all new Link from Niviuk is the pilots first choice for powered flight. The ease of takeoff, the total control and the highest level of security together bring to the pilot a new level of relaxed powered flight. 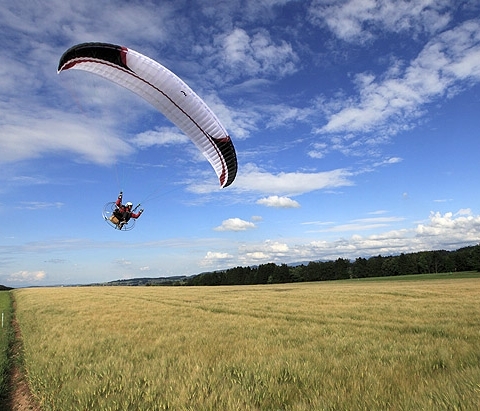 The goal set by Niviuk was not to simply create a glider for paramotoring but a Niviuk PPG glider with a difference. 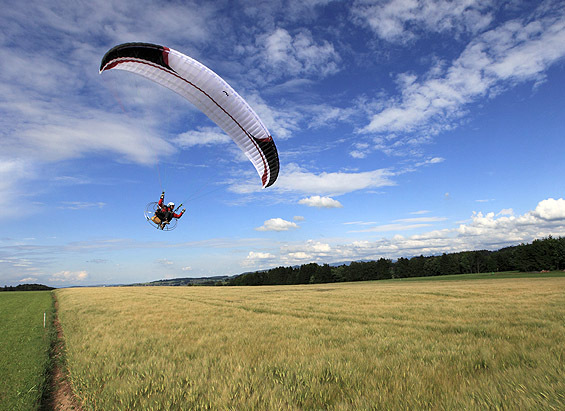 Using the very latest advances in design technology and the highest quality materials Niviuk now present the LINK a new glider designed specifically for powered flight and those new to the sport of PPG. 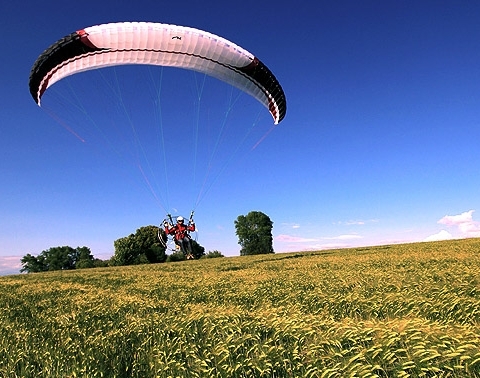 Our designers have researched, observed and spoken to many PPG pilots, clubs and schools, asking exactly what they want and expect from a paramotoring glider. Using all that information and applying it to the Niviuk expertise in design and technology a new glider for the paramotoring pilot has now arrived. The LINK is a PPG glider which exceeds exacting standards and maintains the unique Niviuk flight characteristics. Not only does the LINK offer confidence and comfort it also brings to you ease of flight. The motor is on your back, your equipment is ready and you are set to go but there is almost nil wind. With the LINK this is no longer a problem, designed for a simple, easy and efficient launch, with just a few forward steps the glider will be overhead and ready to fly. The roll, the pitch all perfectly controlled and balanced within the design, the pleasure of the LINK is just a few steps away. The LINK with its unique profile will assist you to maximise your engine efficiency, distance and performance. We all fly to enjoy pure pleasure not to experience fear or concern. Now with its high stability and minimum pitch, role and yaw you can experience powered flight in complete confidence, comfort and control. For the student or established pilots the LINK is the PPG glider of choice. We invite you to enter the world of the LINK and discover the true meaning of the word: “travel”.